This accomplishment offered the latest validation for a program that started 60 years ago. The missile launched from the USS Lake Erie in mid-May represented the culmination of decades of innovation and scientific research. However, to fully appreciate the history and breadth of this evolution, one must start at the beginning. Born in the years following World War II, the U.S. Navy asked industry to create missiles that could defend warships against new weapons, such as fast-moving fighter jets and their airborne missiles. 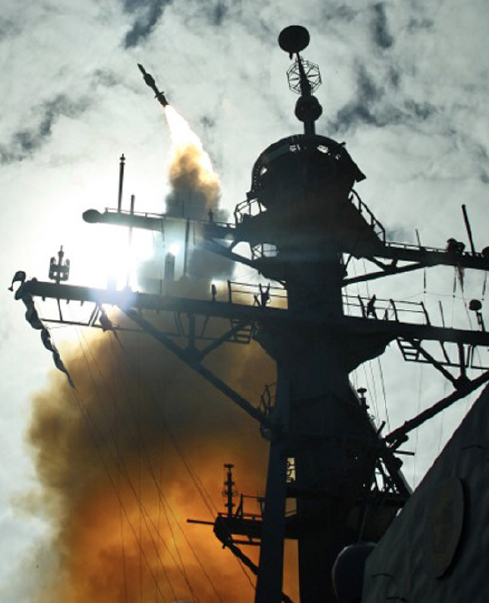 The Navy recognized that to effectively counteract and defend themselves against the advancements being made in offensive weaponry, they needed a supersonic, guided missile, complete with new kinds of propulsion and control. However, even for the most avid believers, success was viewed as a long shot. The military called it Operation Bumblebee. This was a secret program to develop a weapon that, like the insect, could take off vertically, change directions instantly, and deliver a painful sting. In spite of numerous detractors ,and a hefty dose of pessimism within the military community, Operation Bumblebee engineers eventually produced three missiles: The Talos, Terrier and Tartar. Talos was the “big brother” of the three, weighing nearly 4 tons and was designed to take out big threats, such as Soviet bombers. However, the missile was large and expensive—many of the smaller ships couldn’t carry Talos. Tartar was the lightest-weight system and was designed to engage targets at close range. With a cutting-edge (for its time) radar homing guidance system, the smaller Terrier saw wide use by the Navy post-WWII. The first successful launch of a Terrier missile from the USS Mississippi in 1953 is broadly considered the event when the Standard Missile family’s story truly began. Standard Missile-1—Nicknamed “Home All The Way,” the SM-1 protected the U.S. fleet against air-breathing threats such as airplanes. Combining high-performance and short reaction time, the missile “homes”’ in on a target throughout its flight. Several U.S. allies continue to use this missile today. Standard Missile-2— SM-2 was the first variant that could acquire a target after launch, and that ability doubled its range and altitude. Today, it is the world’s premier fleet-area air defense weapon and is used by the U.S. and allied nations. Standard Missile-3—The SM-3 is the only missile in existence today that can be launched from a ship, blast into space, and take out short- to intermediate-range ballistic missiles. The SM-3 uses a non-explosive warhead, a concept often described as “hitting a bullet with a bullet.” Both the U.S. and Japanese navies have deployed this missile on ships. Standard Missile-6— The SM-6 is a new, over-the-horizon air defense weapon. 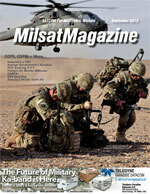 In 2015, it will take on a new role defending against ballistic missile threats. Raytheon recently hosted a gathering to celebrate the rich history of the Standard Missile family of interceptors and to recognize the extraordinary feats of engineering that have been accomplished over the past 60 years. This celebration was about honoring our legacy and thanking those who have helped turn Standard Missile into the world’s premier family of air and missile defense weapons. As Vice Admiral James Syring, director of the Missile Defense Agency, pointed out during his remarks, the work the government-industry team is doing to actively protect our homeland, our forces and our international partners against ballistic missiles is essential to our national security. I also agree with Vice Admiral Syring when he says that Standard Missiles will be central and integral to the U.S.’s defense strategy for decades to come. The proof of that is evident in many recent milestones. 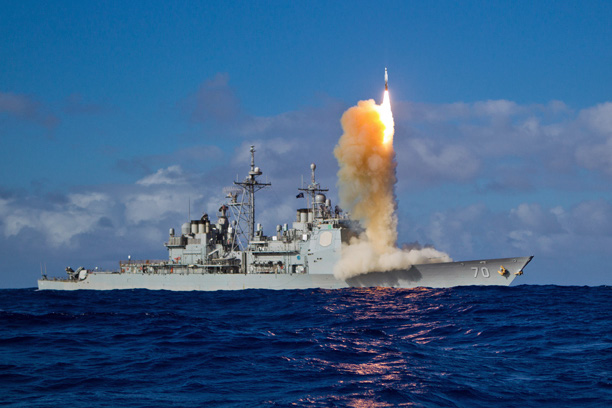 Raytheon recently received the green light from the Defense Acquisition Board to start full-rate production of the SM-6, which will provide a game-changing fleet defense capability for U.S. Navy ships. The SM-3 is and will remain the cornerstone of the Pentagon’s phased approach to missile defense in Europe, and the missile will also play a mission-critical role in the defense of our very own homeland against the growing threat of ballistic missiles out of North Korea and Iran. Meanwhile, SM-1s and SM-2s will continue to provide fleet defense to our allies around the world for decades to come. Developing these capabilities has been no easy task; in the early days, engineers were in uncharted territory. But as we’ve perfected this technology for 60 years, and we’ve seen it expand from defending ships to defending continents. What was impossible yesterday is possible today. Tomorrow’s solutions are limited only by our imagination.